The actor Jim Carrey, 53, and Cathriona White, 28, were on and off lovers in the modern way of things. They apparently started up their relationship again in May, only to separate again in the last few weeks. This time, the breakup seems to have been too much for White, who committed suicide, apparently naming Carrey in her suicide note. Suicide is always a tragically wrong way to deal with pain and heartbreak, but on some level most of us can relate. If you live long enough, you know what it’s like to be gut-punched by life. If you’ve risked loving someone, you understand or can at least imagine the emptiness and shock of losing the one person who seems to make the sun shine every morning. If you’ve received a cancer diagnosis or a pink slip from work, if your child dies or your husband serves you divorce papers — how do you go on? What do you live for when the very earth shifts beneath your feet and you crumble to the dirt in a heap? Cathriona White found herself in a place of deep pain, without hope. She ended her pain by swallowing a bottle of pills, and in doing so created terrible grief for everyone who loved her. Suicide is ultimately a selfish choice, one that discounts the impact of our lives on the community of people who cherish us. But the darkness that leads to suicide often warps truth and reality in such a way that it can make death seem like our only hope; we mustn’t judge people like Cathriona White too harshly. 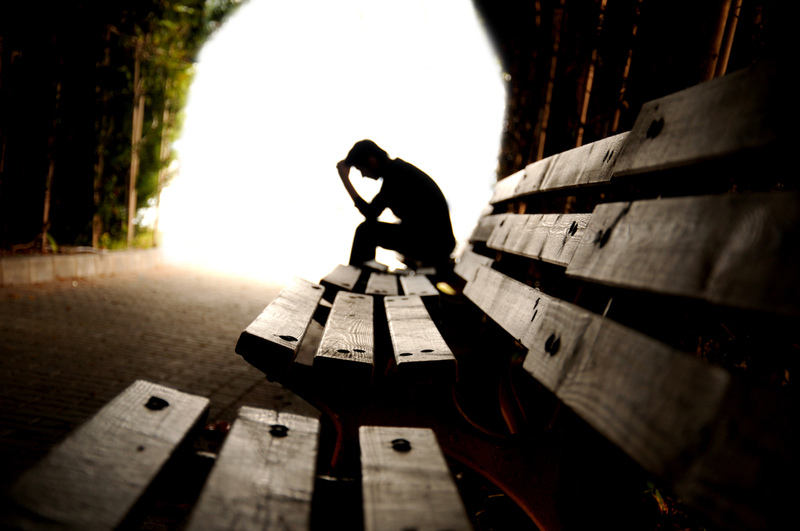 Speaking from personal experience, the darkness of despair and depression can be overwhelming. When life sucker-punches you, how do you go on? Why do you go on? Why choose to live, when death seems to offer peace and an end to all that hurts so badly? One answer is that life is always creating something new, and in the birth of new life each day there are new possibilities, new relationships, a new reality that we couldn’t even imagine just yesterday. Life creates change, and change creates the hope of something better. That’s the secular answer, and it has a certain element of truth to it. But there is yet another truth to consider. If we admit the reality of God, if we accept the reality of Jesus, if we believe that it’s possible that God is not sleeping but wide awake and active in the world, that God loves us, hears us and has shared our pain, then there is something else to hold on to. It’s an answer that is provided by a loving God who cares for us, rather than by the chance eruptions of his living creation. God is busy making all things new. God creates possibility from impossibility. Jesus offers rest and comfort in the midst of life’s agonies. God is good. God leads us in love through the hardest of circumstances. Even when I walk through the darkest valley, I will not be afraid, for You are close beside me. Your rod and Your staff protect and comfort me. You prepare a feast for me in the presence of my enemies. You honor me by anointing my head with oil. My cup overflows with blessings. When life seems very dark and despair covers us like a cold, damp fog, hope is still alive. Hope never dies, because our true hope is in God, who loves us and stands ready to lead us out of the darkness.